So while we wait for the game rights to shift out from under EA’s thumb (and see what Respawn’s Star Wars Jedi: Fallen Order is all about), let’s look deep into the force and discuss the Star Wars games we’d like to see make a return, rising from the ashes of extinction. 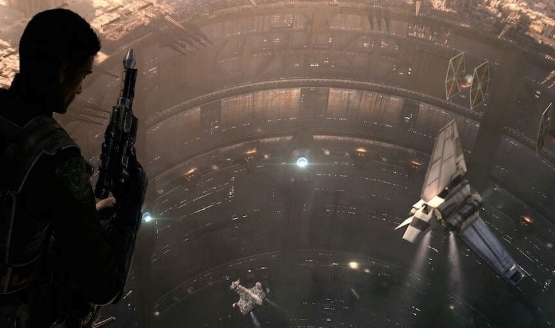 Extinct before it could even take its first breaths, one of the most disappointing casualties of Star Wars games in recent memory was a once promising project called Star Wars 1313. Set deep in the underbelly of Coruscant, this third-person shooter looked stunning with Uncharted-like cinematics, gorgeous animations, and blockbuster storytelling. This setting is underrepresented in the Star Wars canon, and it would have been fascinating to see this part of the much beloved universe come into existence. If a team from EA or another studio could reignite this idea and perhaps continue its development, the force would be strong with them. Disney have given the reigns of the once defunct Marvel Ultimate Alliance series to Nintendo and Team Ninja. Why not try out this game with another developer? Despite the microtransaction controversy originally surrounding Star Wars Battlefront 2, the game is actually quite stunning, especially during the campaign’s space missions. The amount of visual detail on screen is breathtaking as battles between the Rebel Alliance and the Republic ensue right in front of you. However, the calmer moments, like swerving your way through an asteroid field near the beginning of the game’s campaign, had so much atmosphere and helped engross me into the universe. Even the light emitting from the starships looked amazing. I would love to see this same vision realized in a new Rogue Squadron game. Think about the Battle of Hoth from The Empire Strikes Back or destroying the Death Star as Luke during the events of A New Hope in such an astonishing splendor. EA, have Criterion elevate their development on space combat from Battlefront 2 to a full game orbiting around this aspect of the universe! P.S. Add PlayStation VR functionality. Fantastic, that would be! So technically this isn’t an extinct game, but it is an extinct idea. A subset of games that I miss are the tie-ins for movies that are now relegated to the mobile platform. Despite this genre usually having poor releases due to lack of time and effort, Star Wars has a good track record for movie tie-ins. Jedi Power Battles was a fun multiplayer brawler on PS1 that recapped the events of The Phantom Menace. Star Wars Episode 3: Revenge of the Sith‘s adaptation had a cool versus mode after finishing the main campaign. 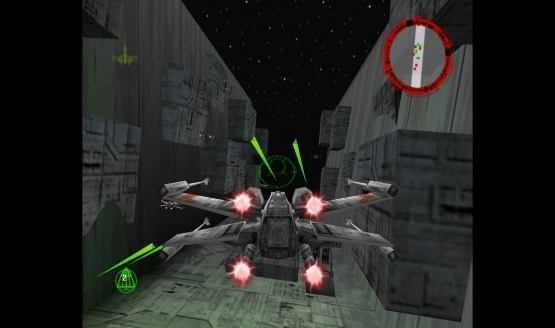 The PS2 title had a heavy emphasis on lightsaber duels and co-op action, as well. I’d like to see this type of game come back. I miss reliving the events of a movie in game form, gaining buffs and new combos for each of the characters, and taking out enemies like they’re fodder with a buddy on the couch. It would be great to play the new trilogy in game form with Rey, Poe, Finn, Han, Chewbacca, and Rose. There is LEGO Star Wars: The Force Awakens, but the combat is lacking without any combos at your disposal, and the overall formula of LEGO games has gone stale since the original LEGO Star Wars in 2005. A dev team could even take this concept further and show alternate endings or scenarios for each of the films, like Star Wars Episode 3‘s game did. Prequel trilogy haters, stay on target. 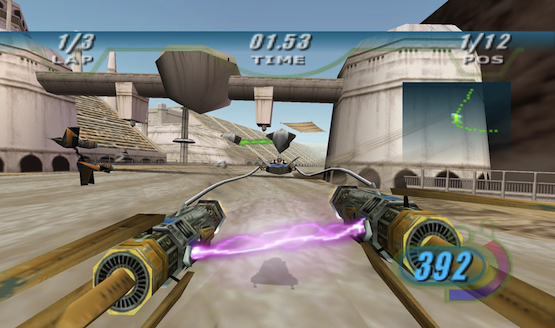 A new Star Wars Pod Racer game would be rad for current generation consoles. 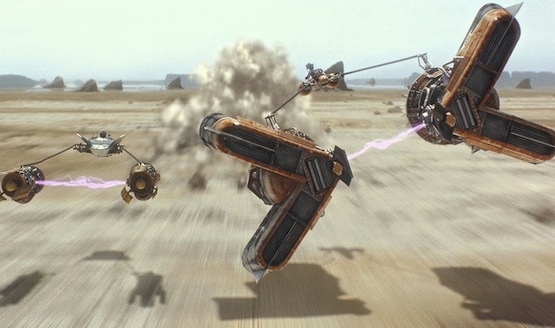 Seeing the pod racing scene for the first time in cinemas as a kid was electrifying. It was so cool to see Anakin racing in top speed and maneuvering his pod racer in the air, but there was always that sense of fear that his vehicle would blow up or crash at any moment. New hardware can make the racing even more fast paced and visceral than the Nintendo 64 and Arcade original (and more like the movie). New locations could be added as well, adding even more interesting worlds from the Star Wars canon. For the first time, pod racing would be playable online, and the game would be unique in today’s landscape as we lack new entries in the Wipeout series. Star Wars Chess has a lot of physical comedy and references to the original films, which adds to its charm. 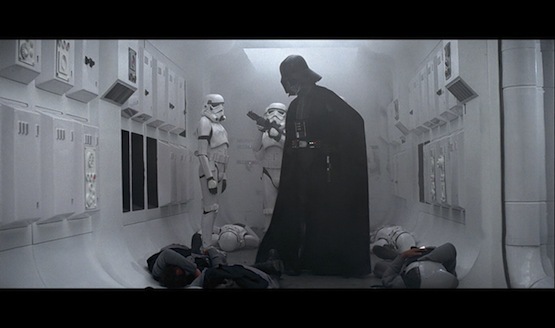 For example, R2-D2 when his piece takes over Darth Vader’s, snags the lightsaber away from him and strikes the dark lord down. This is hilarious. Think about what they could do with BB-8’s funny personality or Kylo Ren having a childish fit of rage. A current version of this game would be amazing. The characters could banter to one another, there would be more characters and sets that a developer could implement in the game or as DLC, and you can scale up the action in cutscenes with more modern animations. Chess isn’t the most exciting video game genre out there, but Star Wars could help more people of all ages get into this complex, but rewarding strategy game that has stood the test of time. Amy Hennig’s Uncharted expertise as writer and creative director and the expansive universe of Star Wars seemed like a match made in heaven. However, there was a disturbance in the force at EA as the company closed the San Francisco developer Visceral Games. It’s such a shame because this Star Wars game codenamed Ragtag, had an interesting take. Hennig was inspired by the improvisational way Han, Luke, and Chewbecca solved issues they came across, like how they saved Leia in her Death Star prison. She wanted to make this a key mechanic, having the players come up with an improvised solution to a problem. 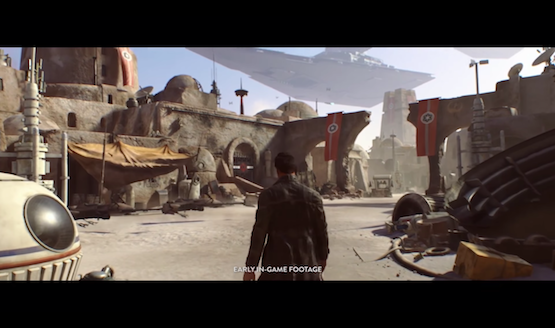 Also, while very brief in a highlight video, the footage from the game looked incredible with a highly detailed reinterpretation of what seemed to be Tatooine. The game’s art assets were given to EA Vancouver, but the rumors were that they were salvaging the assets to make an open world title. However, this too has been cancelled so they could make a smaller scale project. Seeing this game resurface the way it was meant to be with Hennig’s script intact would be fantastic, albeit unlikely. Hopefully, Respawn Entertainment’s Star Wars: Jedi Fallen Order will satisfy our craving for a dedicated single player gaming experience in this galaxy, far, far away. The game will have no microtransactions or multiplayer. Also, the studio behind it has gained a pedigree through the incredibly successful Apex Legends, and the critically acclaimed Titanfall 2. 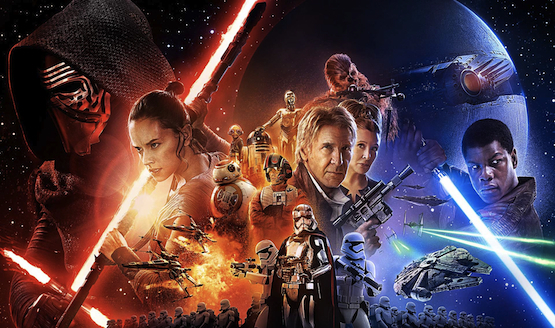 Can they succeed where EA’s other Star Wars projects haven’t? No? I find your lack of faith disturbing! What other Star Wars games would you like to see in the future? Something in the style of The Force Unleashed? Knights of the Old Republic 3 has been highly requested, but as the games haven’t reached a PlayStation system, I unfortunately haven’t played this cherished RPG series.